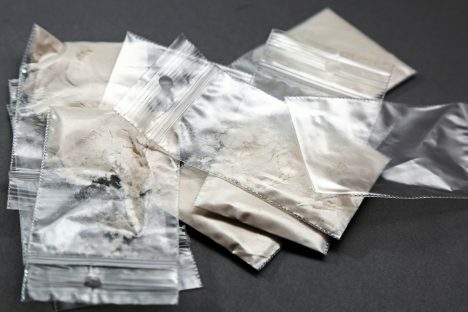 The shipment of cocaine sent from Ecuador and intercepted in Koknese was likely not meant for Latvian market, says Chief of State Police Main Criminal Police Department Andrejs Grišins. On 8 January, Latvian State Police in Koknese together with US authorities and OMEGA counter-terrorism unit intercepted a shipment of 42 carton boxes sent from Ecuador. The boxes in question contained a total of 2,195 briquettes bearing different labels – TNT, Badboys, Gold and a label of a dolphin. Although lab tests still continue, some of the briquettes are said to contain cocaine with overall share of 80%, which, according to Chief Grišins, is a very high index. One briquette contained 1,000 g of the substance. Grišins says the wholesale price of 1 kg of cocaine is EUR 30,000 on the black market. With that, the total value of the intercepted shipment reaches EUR 65 million. Retail price, on the other hand, increases exponentially, added the chief of Criminal Police. State Police detained five Latvian citizens. Three of them were put under arrest and the rest applied with security measures not associated with deprivation of freedom. One of those five persons has a criminal record involving smuggling and money laundering. Now the police have to determine which country was the shipment intended for. Grišins did say that usually Latvia is used as a transit country for shipments of illegal drugs, with the intended markets being Scandinavia or eastern countries. The aforementioned crime is punishable in Latvia with a sentence of up to 15 years in prison.